David Chun, MD is a board-certified radiologist with subspecialty training in breast imaging. He obtained his bachelor's degree at Cornell University majoring in biochemistry. He attended SUNY StonyBrook School of Medicine and radiology residency at Columbia-Presbyterian Medical Center. He continued at Columbia-Presbyterian to complete a fellowship in breast imaging and ultrasound. Dr. Chun's field of expertise includes digital mammography, tomosynthesis (3D mammography), breast ultrasound and image-guided breast biopsies. His current focus/interest is implementation of contrast enhanced spectral mammography at Holy Name Medical Center. 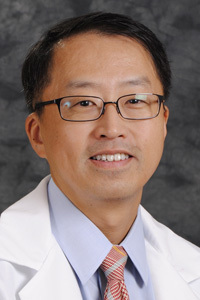 Before joining Holy Name, Dr. Chun served as the chairman of radiology at Robert Wood Johnson University Hospital at Rahway and was the director of breast imaging at Radiology Associates PA.